InSeason’s ReadySet line of reflective materials are the best on the market. We manufacture Mylar, White, and Woven reflective materials at the highest possible quality and at manufacture direct pricing. From annual films, to long lasting woven product, we produce any kind of reflective material growers require. Used intensively in stonfruit and pome furit industries, our ReadSet brand is a perfect solution for any orchard. 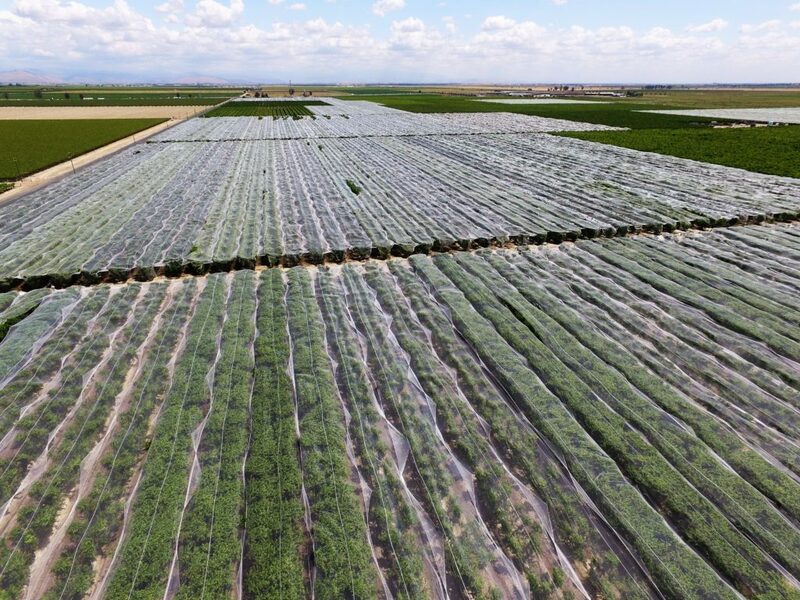 Our premium line of SureShade netting is a great solution for growers to reduce sun damage on sensitive varieties and increase their pack outs. Manufactured in a variety of widths, colors and shade percentages, we can manufacture netting that complements any cropping system. Made with the highest-grade material and the most advanced UV inhibitors on the market, our netting lasts season after season. InSeason is the industry leader of anti bee netting, BeeFree, for mandarin production. Our innovative flexi-weave pattern has the highest exclusion rate at the longest life span, making it the best solution for growers who desire to keep seeds out of their fruit. Available in widths up to 46 feet (~14 meters), our netting with easily drape over any field. Our machine applies and removes the netting quickly and cost effectively, making it extremely labor efficient. Perfect solutions for: W. Murcotts, Clementines, Sumos, Oro Golds, and more. Our hail netting can be manufactured to fit any grower’s need. 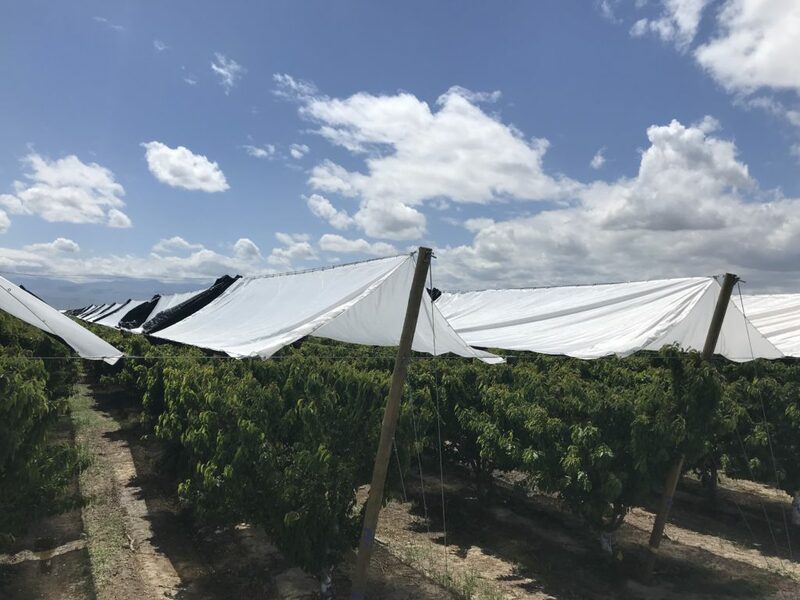 Whether produced in a ‘drape style’ , or a permanent/retractable system, we can produce high quality, long lasting netting that will protect your fruit from hail damage. Weed matting, or ground covers, are a perfect solution for organic production, nursery growers, and many berry growers. 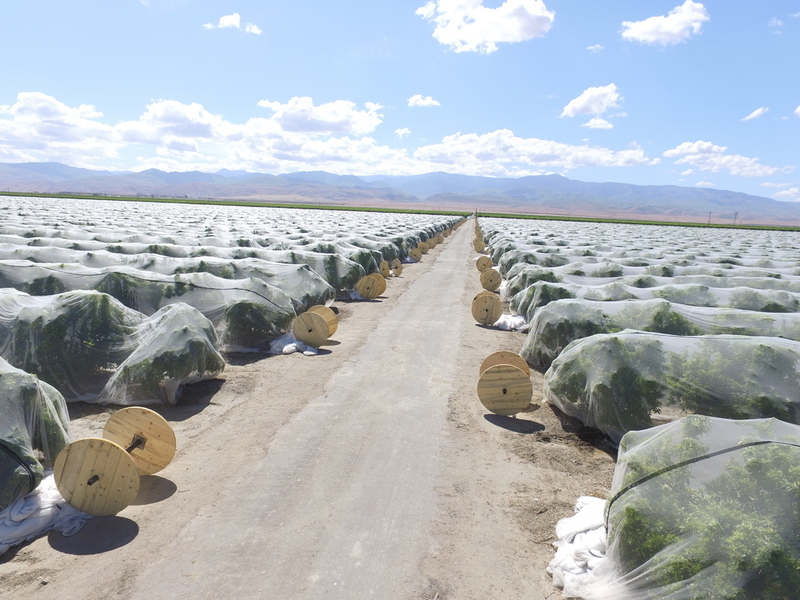 Our weed matting is produced with the highest-grade PP raw materials and the highest rating UV protectants, giving it an optimal field life span. With great water infiltration rates, our weed matting will prevent unwanted weeds, while saving significant water by minimizing evaporative loss. InSeason manufactures the highest quality mulch film. Made with 100% virgin raw materials and additives, our mulch film has extremely high puncture and tear strengths, giving it great performance in the field. Available in Black/Black, Black/White, Black/Grey, Colored, or Metallized, we manufacture a mulch film for any growers’ needs. Perfect solution for: Strawberries, Tomatoes, Peppers and more. Our multi-layered greenhouse film utilizes the most innovative plastic technologies to manufacture the highest-grade greenhouse film. Available with anti-dust, anti-sulfur additives, our plastic film is extremely durable. Manufactured with high-performance UV inhibitors, our film lasts many years in any environmental conditions. Perfect solution for: Strawberries, Raspberries, Blueberries, and more. InSeason offers a wide line of rain covers. 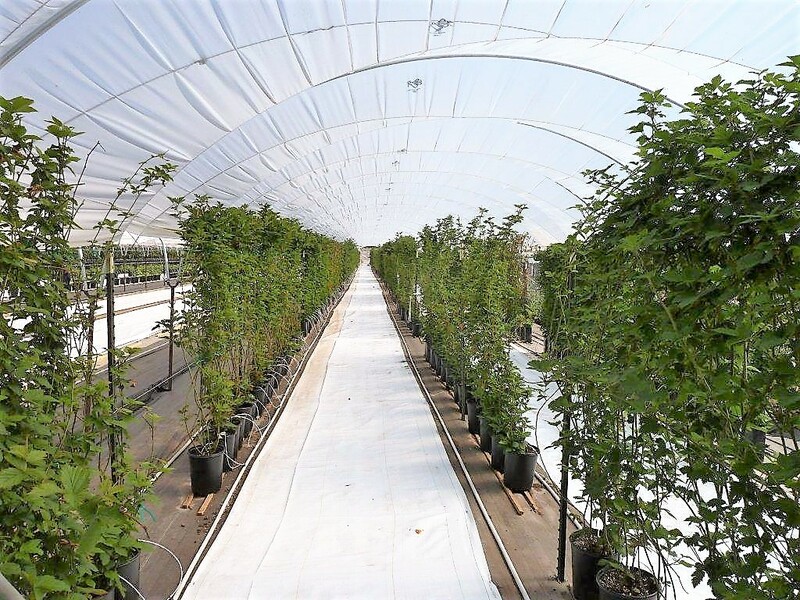 From our annual film, to retractable or permanent systems, our rain covers can be designed around any orchard or vineyard. 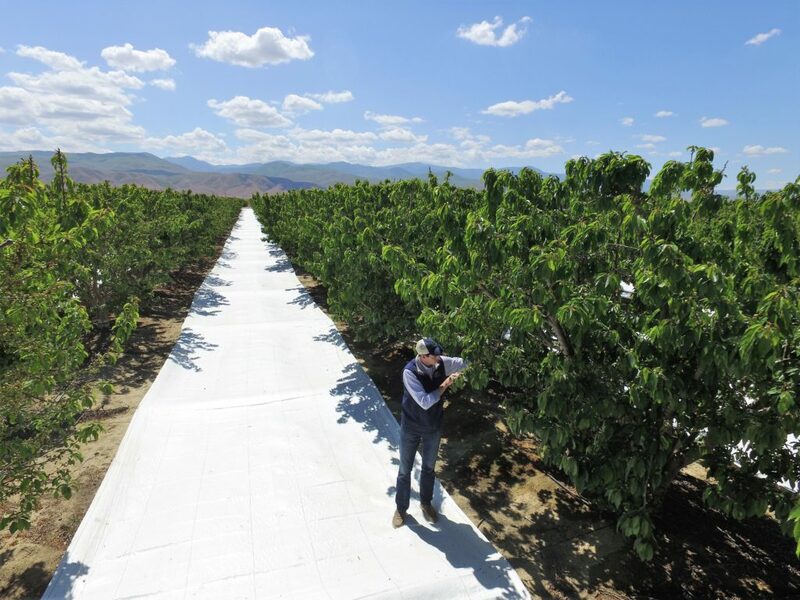 InSeason’s frost protection system for young orchards is used extensively in the citrus and avocado industries. Designed in a pre-stitched bag, TreeGloves protect growers’ orchards from extreme colds. Utilizing irrigation water efficiently can help increase canopy temperatures up to 14 degrees. 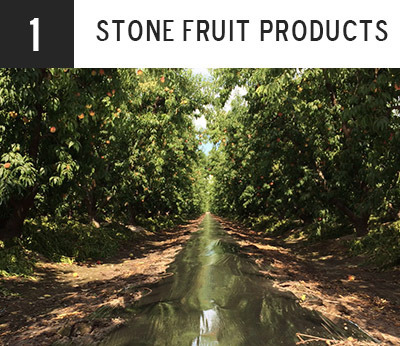 Our heavy-duty windscreens help protect your fruit from wind damage. Available in standard widths of 10’, and custom manufactured to any length and width to fit your ranch’s needs. At 150 GSM with reinforced edges, our windscreens are durable to last for many season’s use. InSeason’s stockpile/silage films are used in a variety of industries including dairy, nut processing, and compost producers. Available in Clear, Black/Black, or Black/White, our film can be trusted to protect. INSEASON Ag Innovations is dedicated to providing the highest quality agricultural products at competitive pricing to help growers produce higher quality fruit. 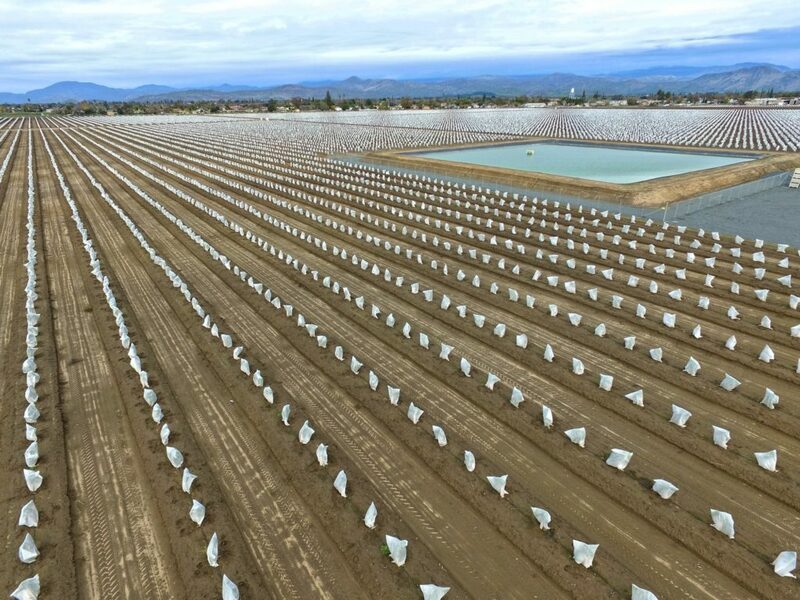 As a family raised in the heart of California’s agricultural region, we understand the need for innovative ideas to help overcome grower challenges. 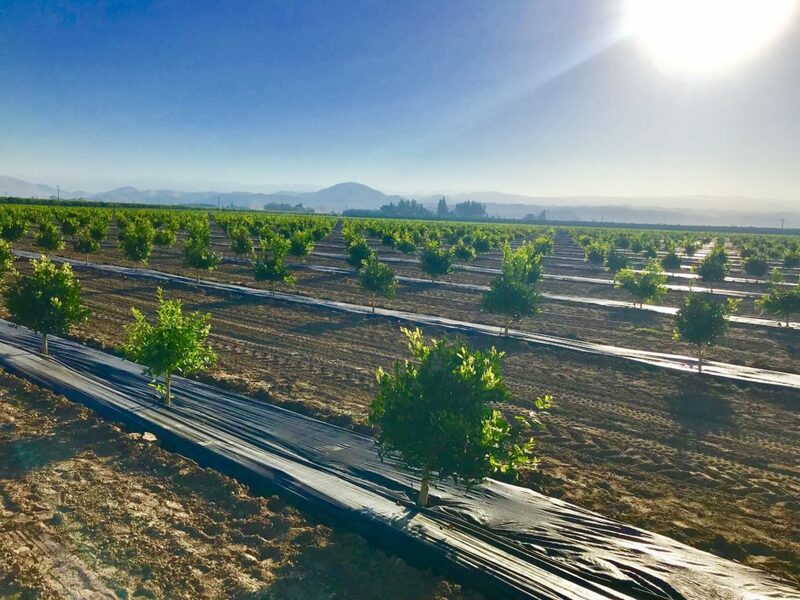 Beginning with an alternative and cost efficient method of citrus frost protection, we expanded to provide other materials vital in the stone fruit and table grape industries. Dedicated to innovation, we continue to develop new ideas to further help the needs of growers. ©2018 COPYRIGHTS BY INSEASON AG INNOVATIONS, LLC - VISALIA, CALIFORNIA - ALL RIGHTS RESERVED.